Big Strong and substantial, very good proportions, very well pigmented, expressive head. High withers, straight firm back, good length and angle of croup. Very good fore and hind angulations, pronounced brisket development, normal front. Correct coming and going. Powerful roomy gait with very good presentation and balance. 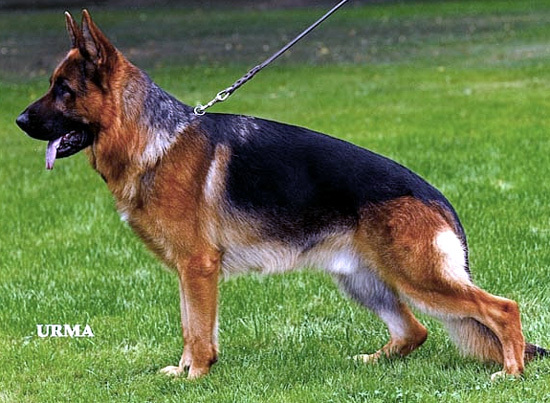 This Italian bred male is free of the Ursus von Batu lineage, also presents an alternative blood-line through his top-producing sire lineage.